My understanding of Alzheimer’s disease has been transformed since 2005, and I still learn new things every day. Through my reading, research and personal experience I have been introduced to better ways of helping people who live with dementia and their partners lead their best lives until the end. I highly recommend these three books for caregivers, potential caregivers and anyone who is interested in gaining a new, more humane understanding of the disease and how we and others can live with it with less stress and more joy. A book about why we must change the way care is being provided to our elders, and, most important, how we can do it by embracing humanistic, enlightened practices that address the common challenges of dementia care. Author G. Allen Power describes how his own view as a geriatrician was turned on its ear when he was introduced to the Eden Alternative. A must read for anyone interested in progressive elder care techniques. I wish I had known about this book years ago! Reading it would have been a godsend to those I love who have dementia – it would have saved us all a lot of angst and anguish. Feil is the creator of “Validation” an effective approach for dealing with the problematic behaviours associated with Alzheimer’s disease behaviours. Anyone can use the simple techniques to sidestep conflict and stress. This coffee table picture book includes beautiful photography and a lots of useful and insightful information and tips from person-centered dementia care experts worldwide. The author gathered material from around the globe including France, India, Canada and the USA, where she also visited care facilities and met Alzheimer’s people and their families. Has some great tips delivered in an easy-to-digest format. 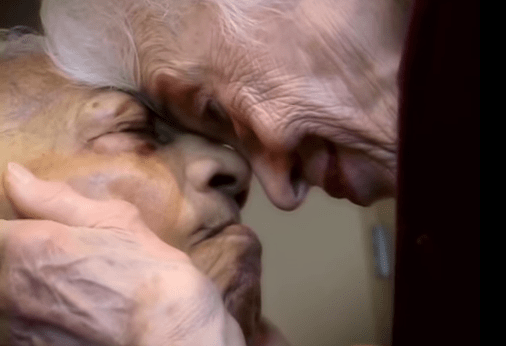 This video is a clear demonstration of the power of connection and compassion the likes of which I experience every time I share music and/or quiet conversation with people with dementia. Note that Feil uses religious music not because she herself is religious (in fact she was raised in the Jewish faith), but because that is the music Gladys Wilson most loved and is most likely to respond to. How small is the world? I watched the video (loved it!) And then looked up Naomi Feil’s book online. Turns out her co-author and daughter was a friend of mine back on 1990 in Vienna, Austria, where we lived for a year, and where I gave birth to our first child. Vicki, Naomi’s daughter, was helpful to me during my pregnancy. And her husband and mine worked on similar issues for their respective governments (arms control negotiations). Because of your post I was able to send her an email, and will hopefully reconnect with them after all these years! Thank you. The universe is fascinating and often awesomely synchronistic.